Luxury Jaffa Cakes from Bahlsen are the Jaffa Cake with the edge. It takes all the power of the southern sun to make oranges so uniquely juicy. 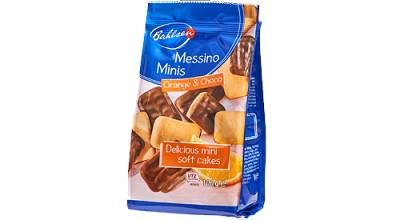 Indulge in the zing of a southern climate with Bahlsen Luxury Jaffa Cakes – a tangy orange fruit filling sandwiched between a crisp layer of fine chocolate and a soft sponge.